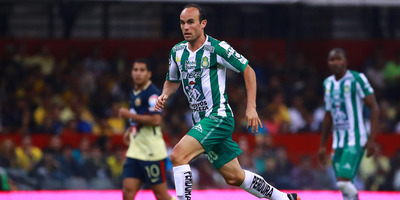 Club Leon/Getty ImagesLandon Donovan playing for Club León in Mexico. Landon Donovan recently announced that with the U.S. out of this year’s World Cup he would be supporting Mexico, as part of a sponsorship deal with Wells Fargo. Donovan’s move has drawn intense criticism, including from former U.S. teammates Carlos Bocanegra and Herculez Gomez. With the United States out of the 2018 World Cup, former U.S. Men’s National Team talisman Landon Donovan has thrown his support behind Mexico as part of a sponsorship deal with Wells Fargo, eliciting criticism from former teammates. Carlos Bocanegra, a former teammate of Donovan’s, including at the 2010 World Cup, called out Donovan’s decision. Donovan later responded to Bocanegra on Twitter by framing his support for Mexico in terms of multi-culturalism. In fairness to Donovan, he played soccer with players of Hispanic descent as a kid growing up in Los Angeles, and has played professionally in Mexico, so it is possible his affinity for Mexico is genuine. However, his decision to claim Bocanegra was forgetting his own Mexican heritage, and to reference the very real problems with how the U.S. is currently treating Mexicans, is viewed by some as an overly sanctimonious way of characterising what was originally a sponsorship arrangement with a bank. This is an incredibly terrible take. Questioning ones loyalties to culture and/or heritage because HE questioned YOU for taking marketing dollars to “root” for your SPORTING RIVAL? Donovan’s decision has been pretty strongly criticised across the board, including by fans. And NBC Sports Soccer pundit Kyle Martino, who made sporadic appearances for the USMNT, and this past year ran for the position of U.S. Soccer President, losing to the federation’s vice president Carlos Cordeiro, came out with a particularly pointed criticism. Donovan has since issued a statement addressing the controversy on Twitter.